← SHOW: Sat Aug 2nd @ Oasis Texas Brewing Co.
My two worlds collide! I have been playing golf since I was 10 so I am pretty excited to be spinning at Topgolf Austin on Fri Aug 8th and Fri Aug 22nd. The address is 2700 Esperanza Crossing in North Austin. I will go on at 9pm and keep the party going until 1am. It’s a damn fine way to spend a Friday night. 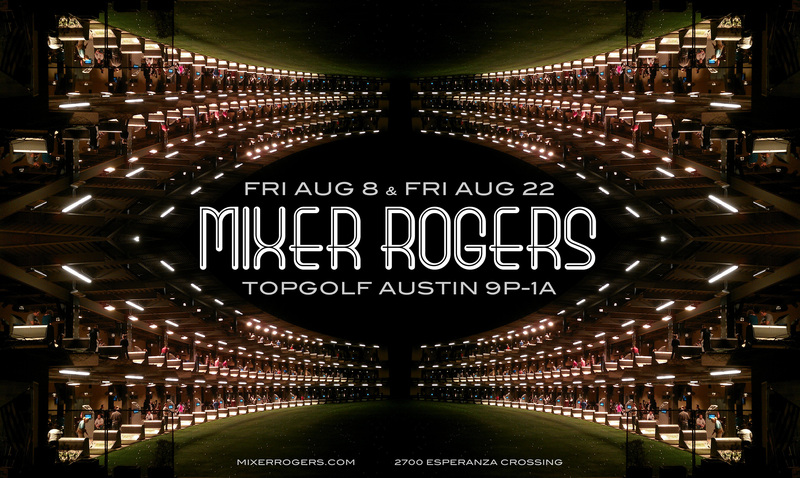 This entry was posted in Shows and tagged ATX, August, Austin, Club, DJ, driving range, friday, golf, Mixer, Mixer Rogers, Music, North Austin, Party, Rogers, topgolf. Bookmark the permalink.